Hello and welcome to day one of the All About Strings Hop. Thanks to Carla at Creatin' in the Sticks for once again taking the time to corral us all together for sharing of ideas, this time ideas All About Strings. I've never been clear about the difference between strings and strips of fabric. When I tried looking it up I found that I was not alone in my confusion. 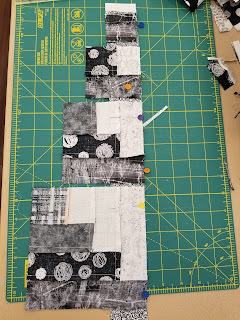 The guide line I choose to follow was a piece of fabric narrower than 2.5 inches that does not need to be consistent in width over its length. A few months ago a quilting buddy handed me a bag of her scraps intended for stuffing of dog beds that is a standing project for our guild. 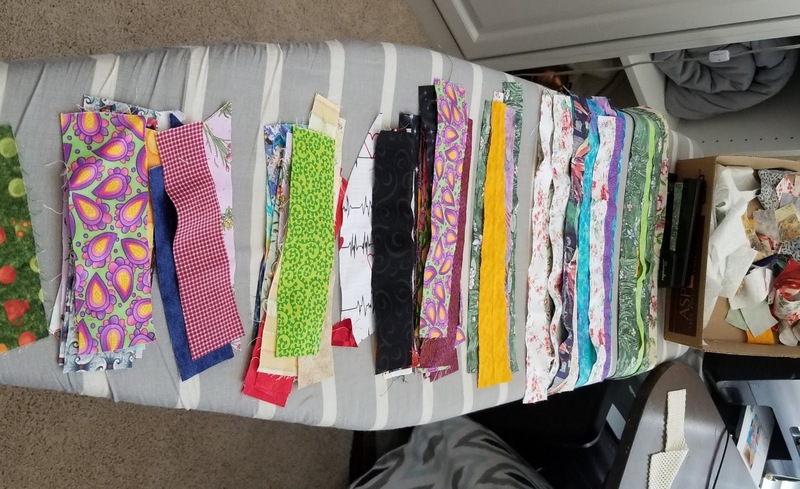 The scraps looked awfully big for that project and I asked her if I could repurpose some of them for another charity type project. No problem so long as I took them out of her space. This is just some of what I found after I trimmed them into strings. 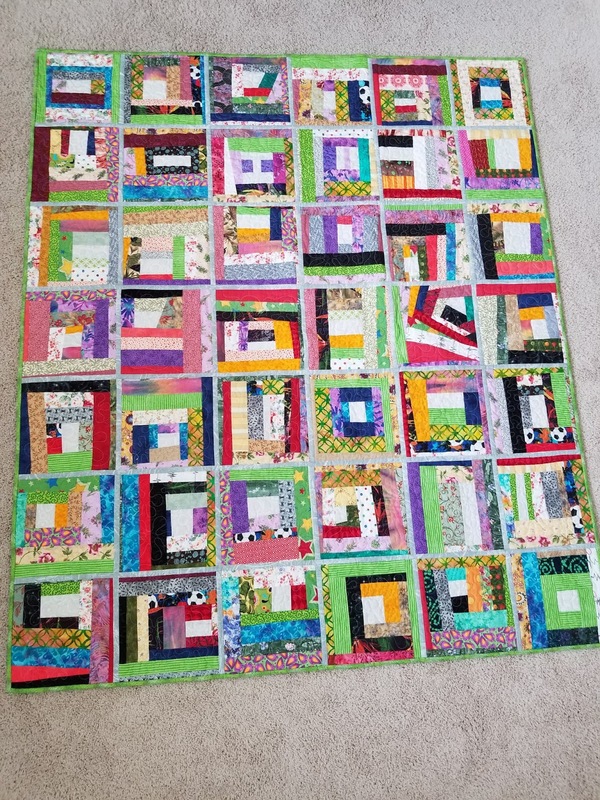 All of the blocks I made were from scraps. 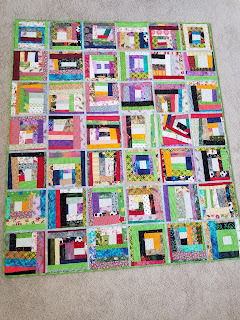 The only scraps I used that were not from the original bag were the starter pieces for each block. 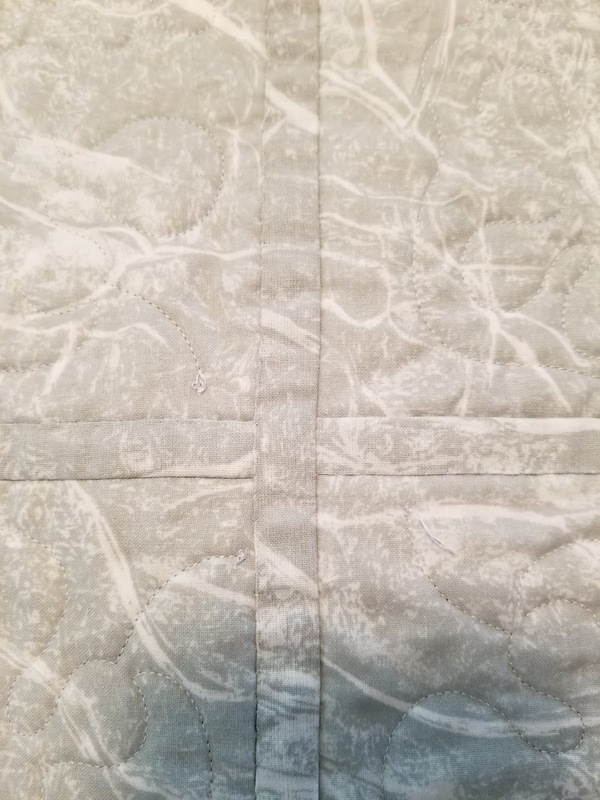 Those pieces were from the trim from the backing of my last quilt. This will be going to one of the H2H 2019 Charities. I am happy to show you the completed project that successfully met all 5 of my goals. Last week I took a class on making Half Log Cabin blocks. 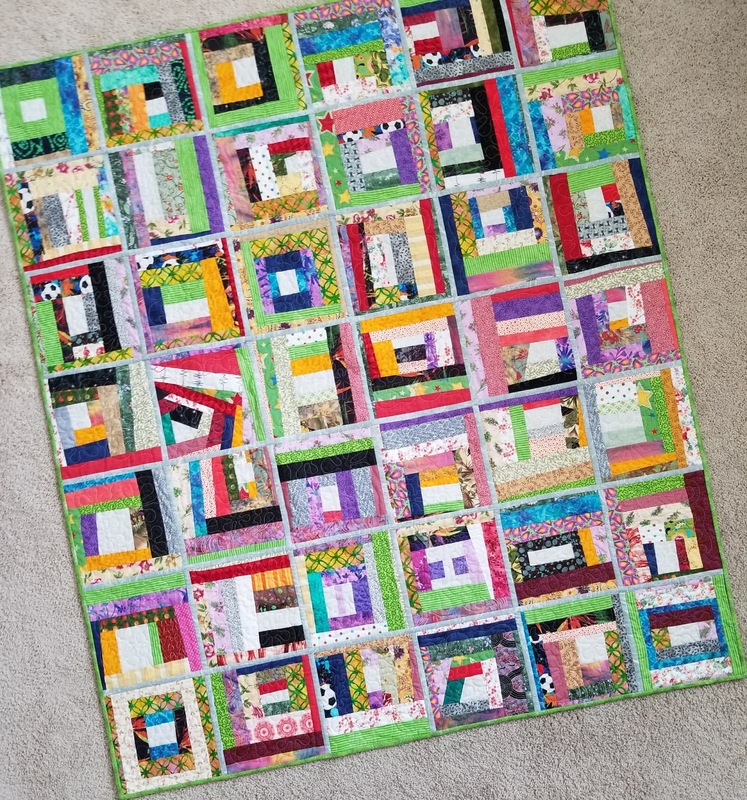 I may have made a traditional Log Cabin block when I first started to quilt but over the years I have mostly done the block where you added odd sized pieces as you go around much like the quilt above.. The picture reflects true colors, Black and White novelty prints with little pops of color all from my stash. Now I want you to go and visit the other posts for today for this fun hop. I am including a list for your easy access. Thanks for stopping by for a visit and for taking the time to leave a note, they are so apprecitated. Oh, Selina, these are perfection. 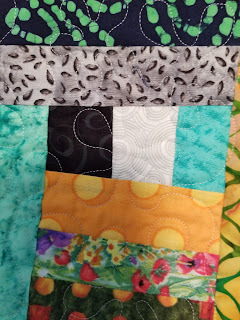 I love the colorful one and have always wanted to try Leah's quilt as you go method. 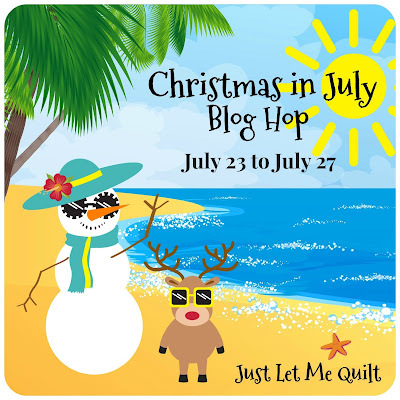 Thank you for playing along in the All About Strings Blog Hop. Congrats on meeting all of your goals. Masterful work on the quilt as you go method. I like to do cabin blocks with the continues 'strings' and then sub cutting - they go so much faster. Super project! 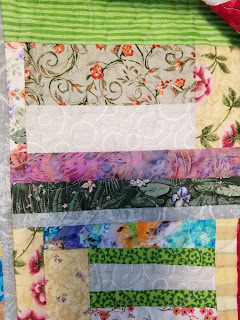 Two gorgeous quilts! Doing the QAYG method was a great idea. Beautiful! What a great way to use up leftover bits. Well done on all counts. Beautiful and fun project. 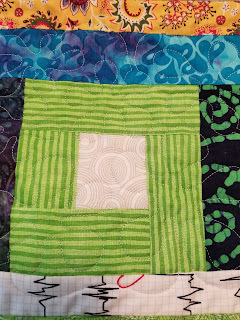 A five purpose quilt to meet all your goals, great H2H quilt!! 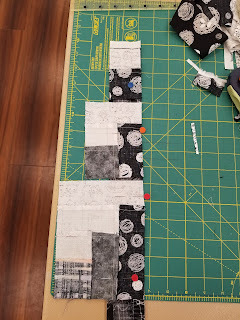 I love the scrappy goodness of the first quilt, but those black and whites oh my! Wow both quilt are lovely. They both speak differently. Thanks for sharing today. So sweet for you to donate your quilt. I sometimes think that people do not realize the time that goes into quilts. Yours is lovely! Wow! Great use of your donated scraps! I am glad you rescued them from stuffing and I'm sure the recipients will be blessed! Your Hop project and class project both turned out SEW great! Congratulations on meeting (and exceeding) your goals for the Hop. I had to laugh when you said your friend just wanted them out of her space. I think we have all been there from time to time. Great way to use up they scraps! 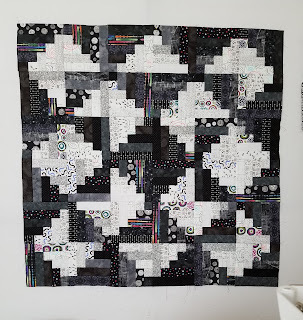 The black and white string quilt is really cool too! 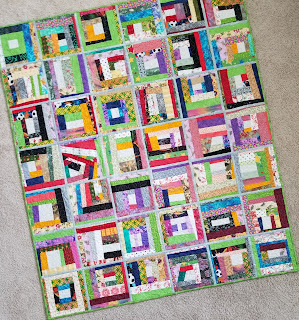 I just love your colorful string scrappy quilt! It’s spectacular! Both projects are pretty, nothing wrong with having two. The black and white is unique, and the colorful quilt is as well. I have made 2 string quilts from my mom's fabric stash and love she's ideas I have seen today and looking forward to making more for my sister and brothers. After seeing the beautiful quilts that one quilter makes using 1" strips, I'm rethinking my definition, but I think it is totally an individual thing! 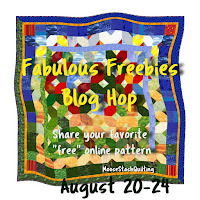 Your string quilt will be loved by H2H and I love your log cabin quilt - my favorite block! I love seeing your goals and how you reached them...great idea! Your quilts are so amazing and beautiful! Beautiful! The black one is stunning. Great quilts. The log cabin quilt is gorgeous. Its cool seeing how you reached your goals. I love the bright colored quilt and the black and white/greyish version.. Log Cabins are my favorite block no matter the method and it was great to see how you reached each of your goals. So fun! I could see that you're a string nut like I am. 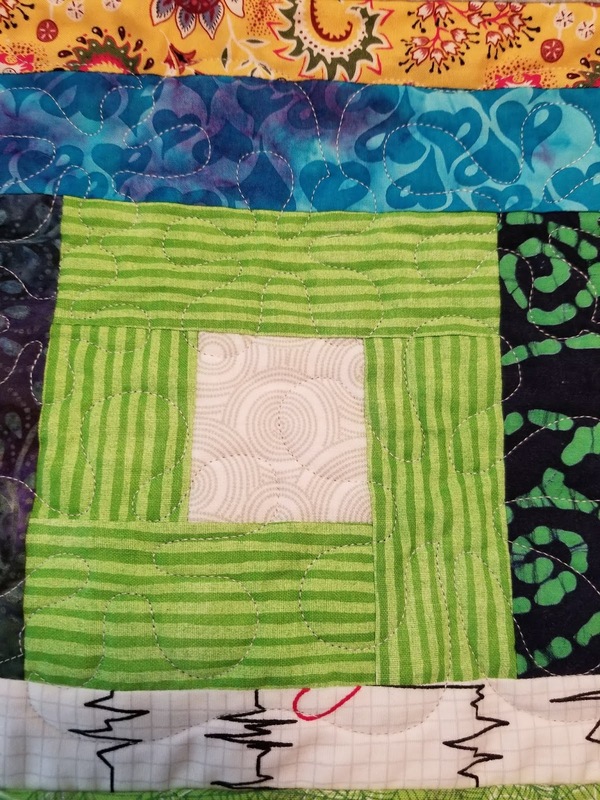 I could honestly have posted over 15 quilts with just strings, but making a new one is part of the joy of these hops. Thank you for sharing the variety of a colored and black/white/grey quilt. Log cabins are so fun and your example is a wonderful heirloom in the making. I LOVE your quilts! The string quilt is really cool; I am re-inspired to get after those strings (even after using them for this hop). I like the half-log cabin very much too. I love the black and white and the arrangement you did. Thanks for sharing! I just sorted my strips into colors and your idea is great for using them up. Beautiful! What a nice donation! Someone will love it for sure. SUCH A NEAT QUILT! THANKS FOR SHARING! 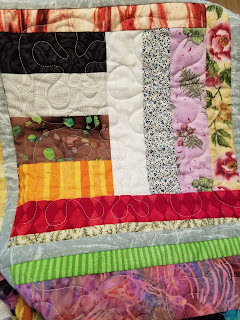 Wonderful colourful creation , your quilt will be moved for sure ! 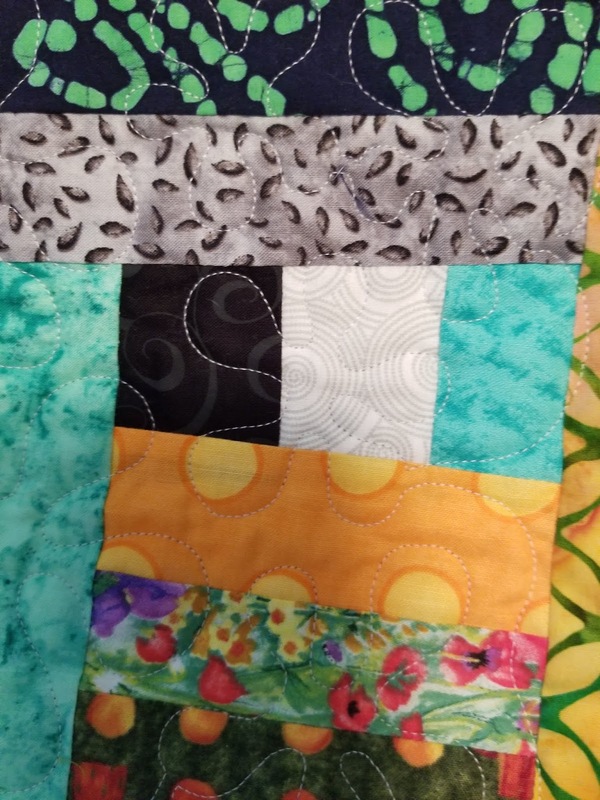 Great quilts Selina! Looks like you used up a lot of scraps too. Great you met some goals also. Great use of that scrap bag. Thanks for sharing with us. 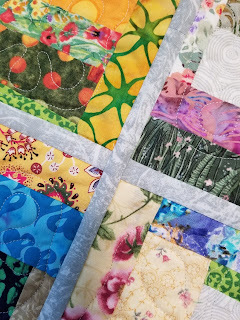 It's great those scraps got a new life in those very pretty quilts. Great job meeting your goals. Thanks for taking the time to leave me a message. Progress on my scraps and a little finish. Santa Sack Swap 2016 finishes with a bang!!! Food Storage Guide "Must Have"
Big Surprise . . . BIG MISTAKE!! !